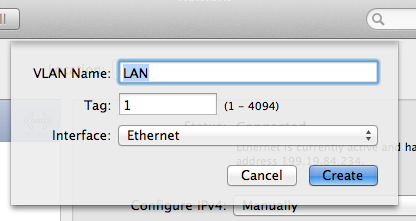 Great. 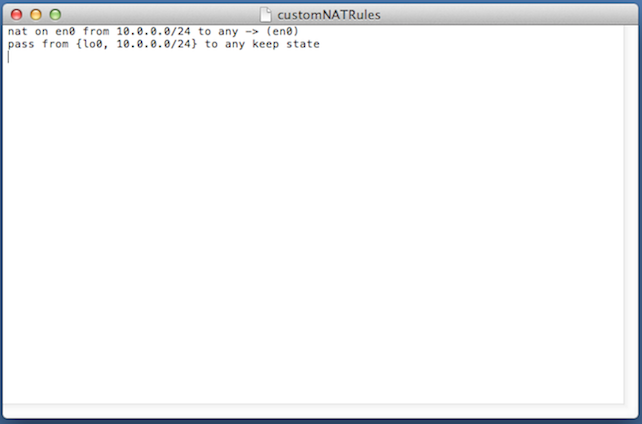 We are now going to make three sets of (minor) changes to this file. 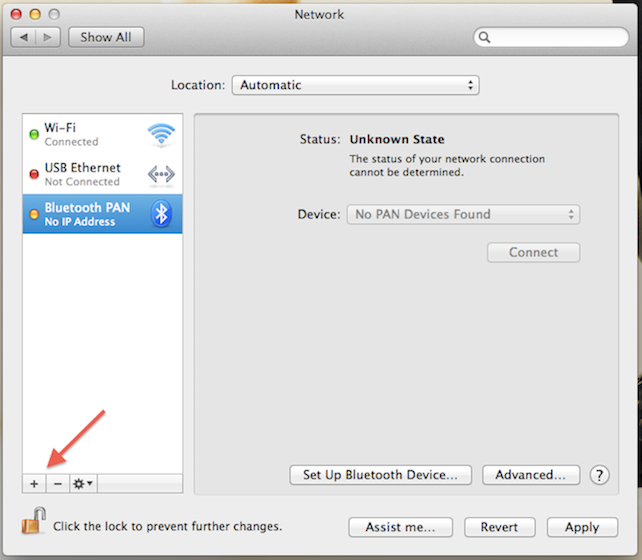 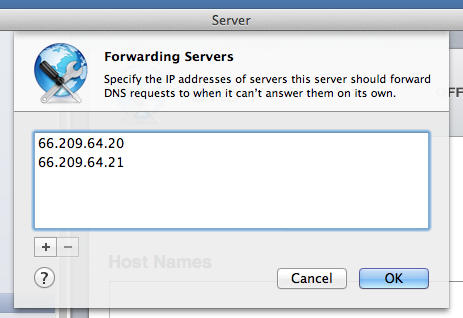 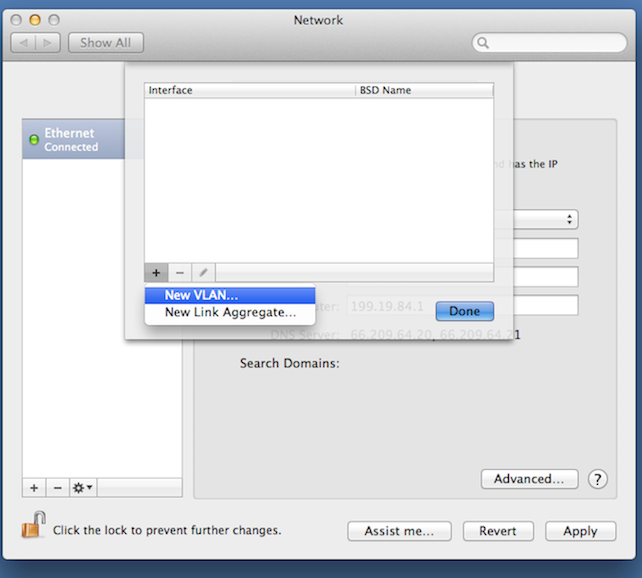 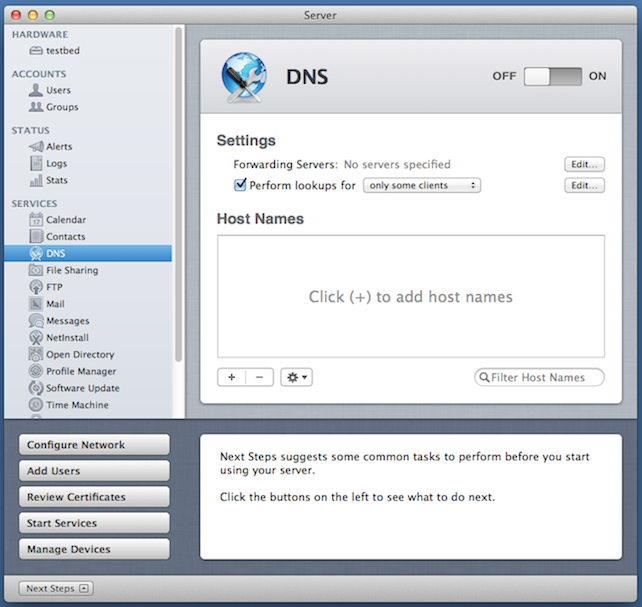 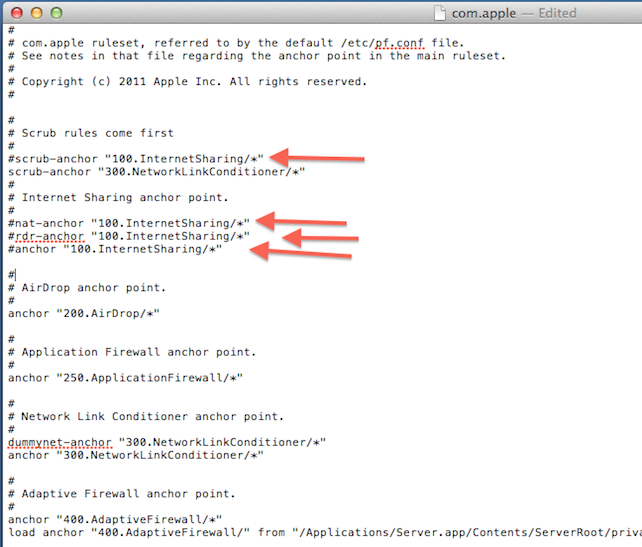 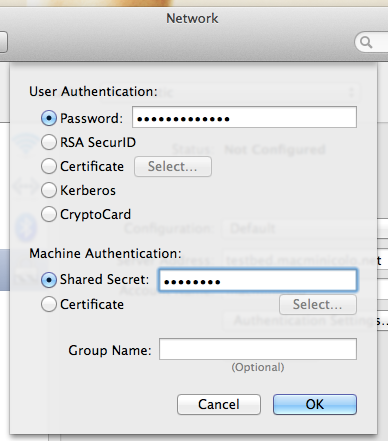 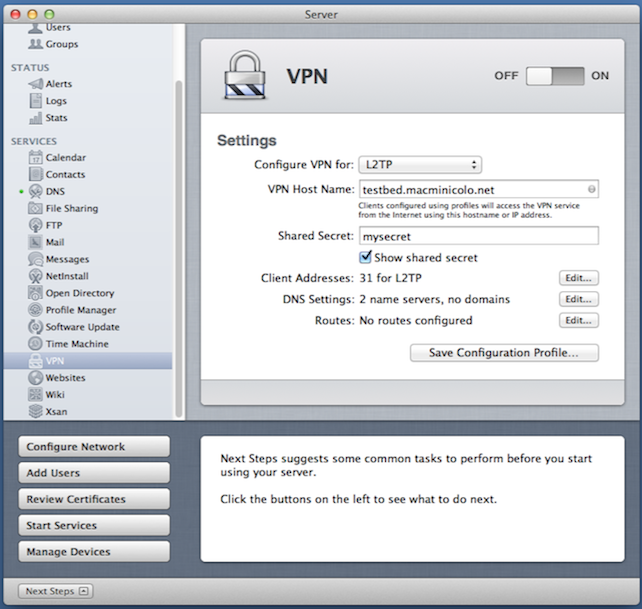 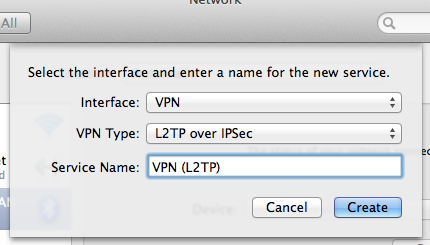 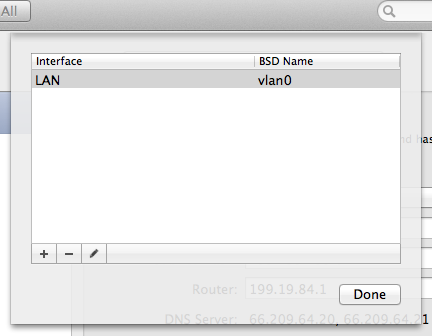 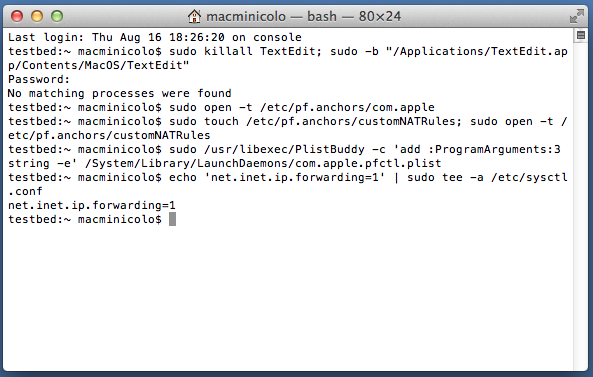 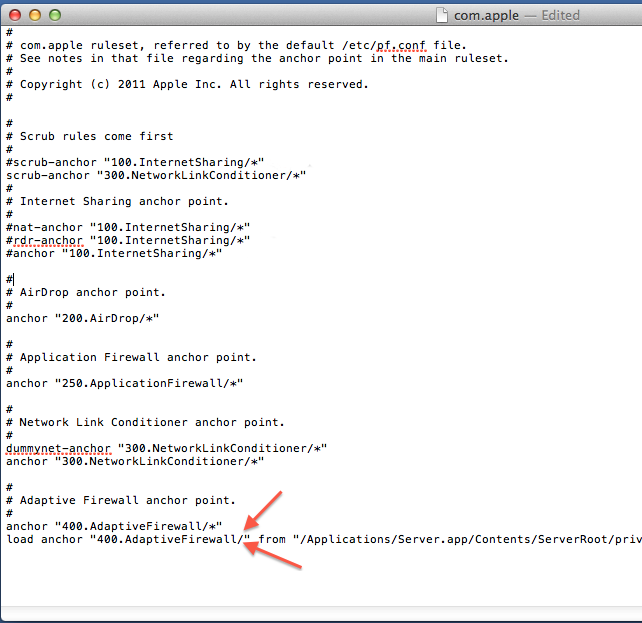 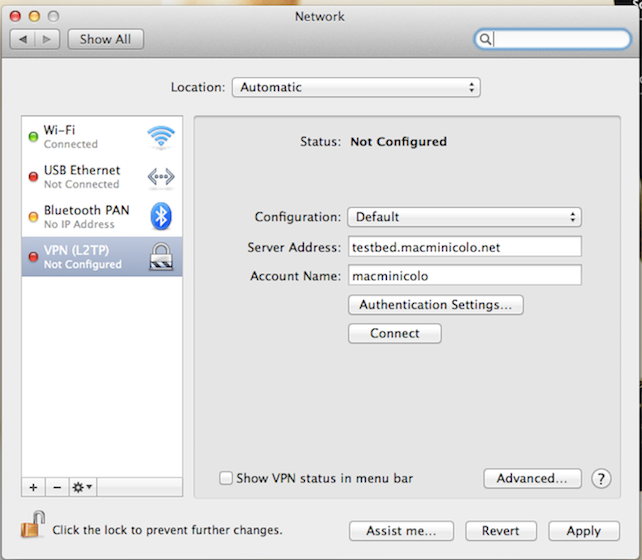 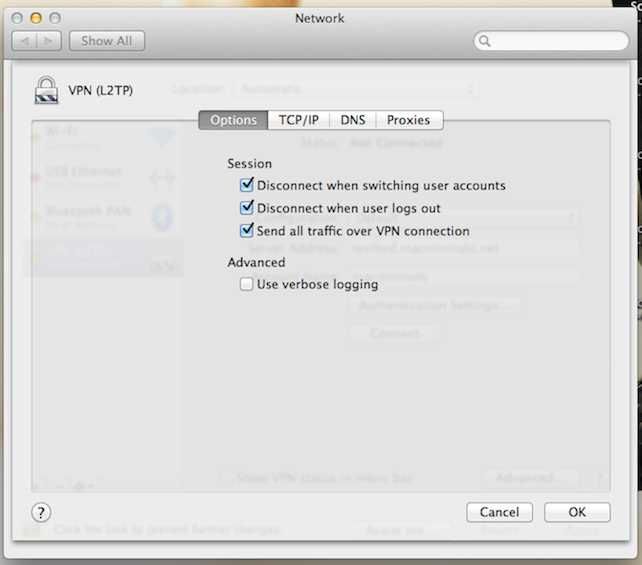 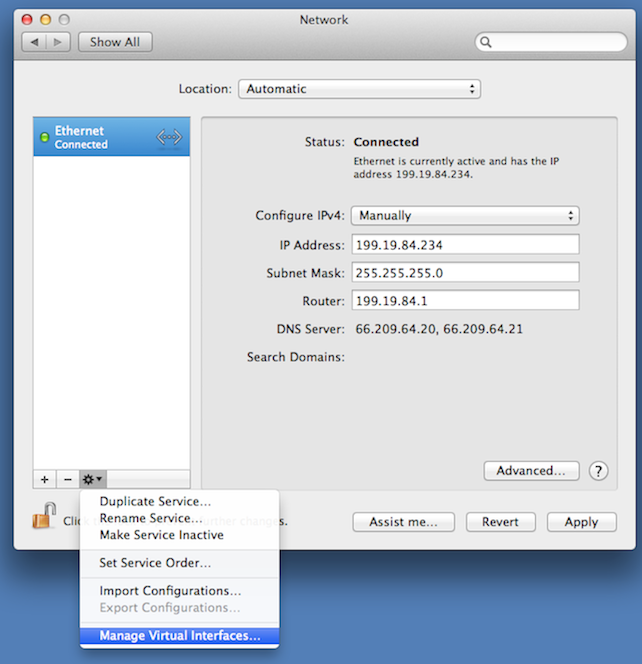 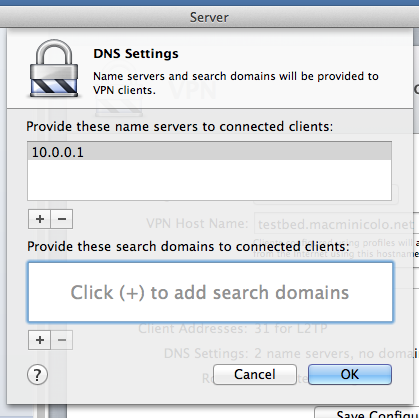 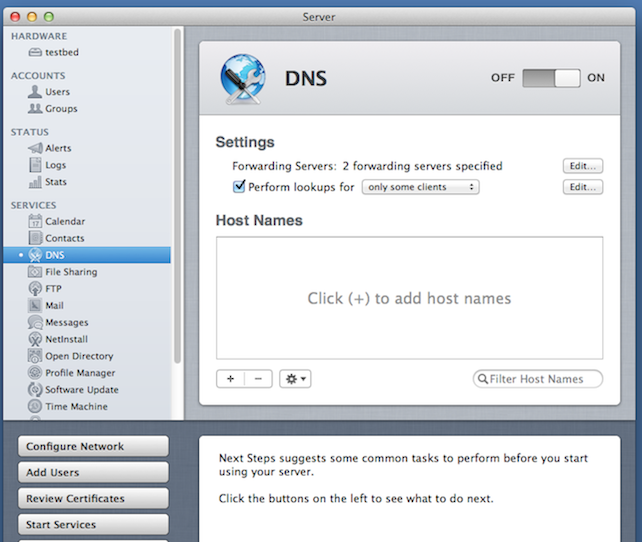 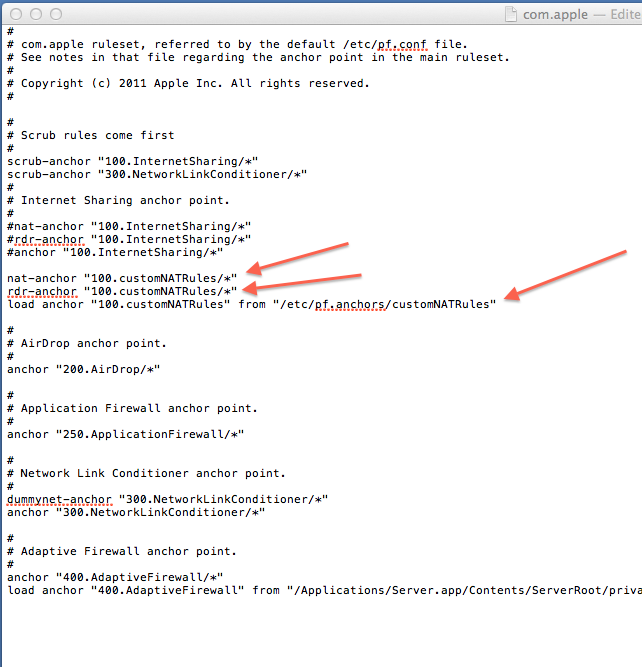 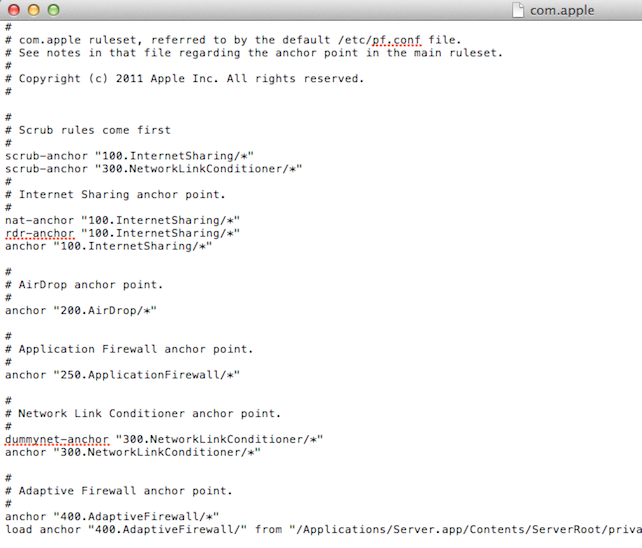 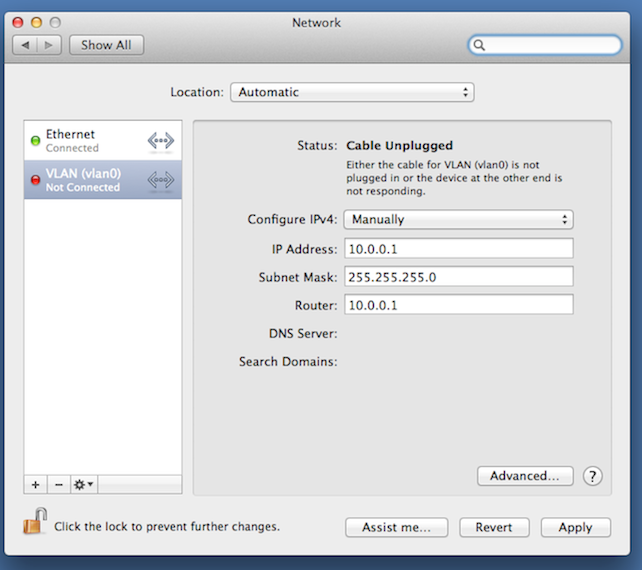 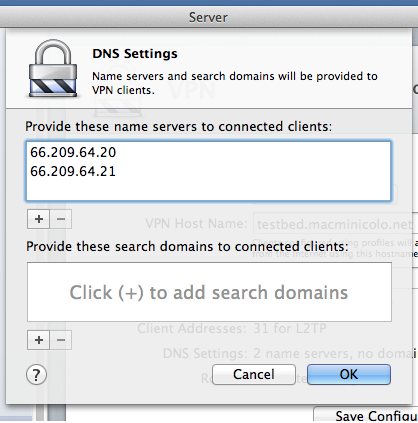 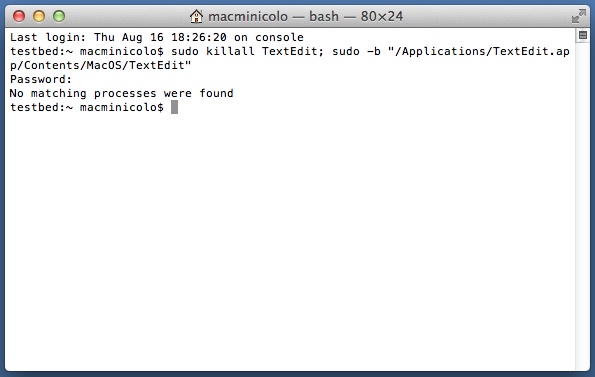 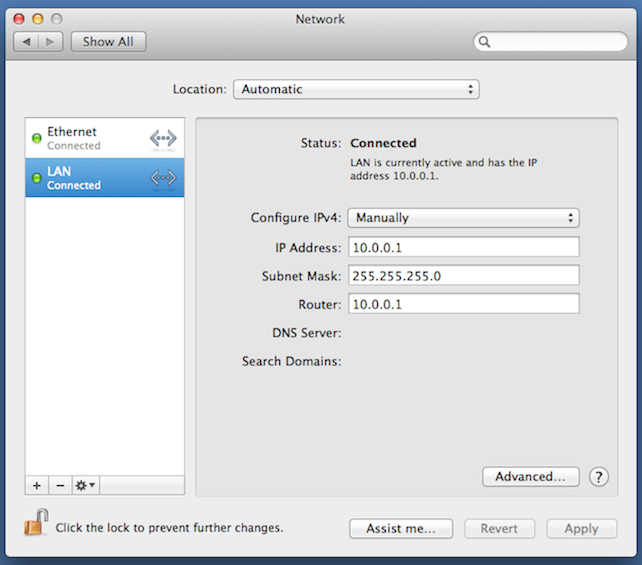 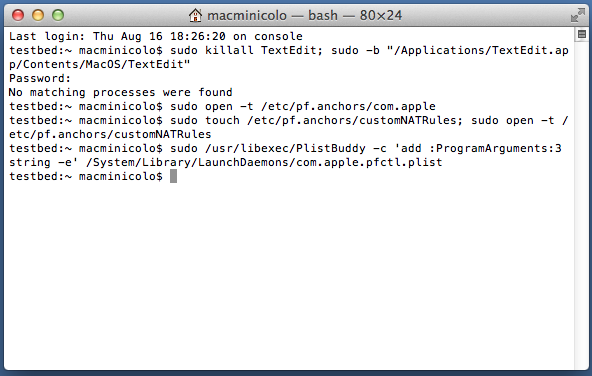 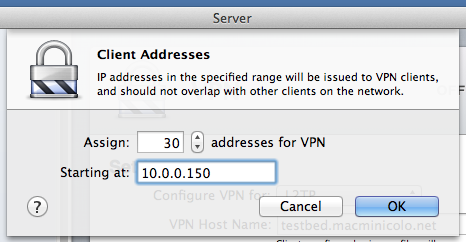 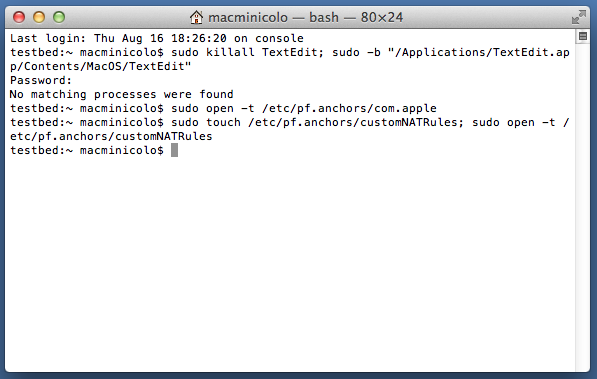 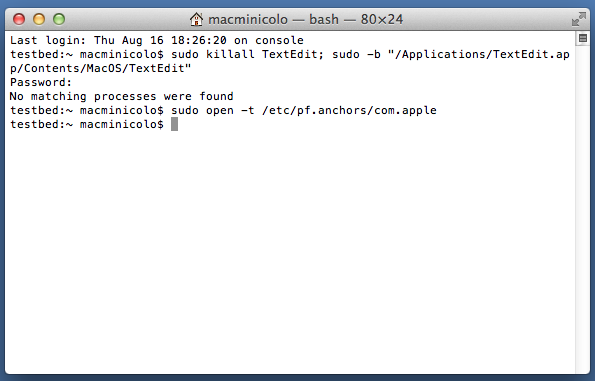 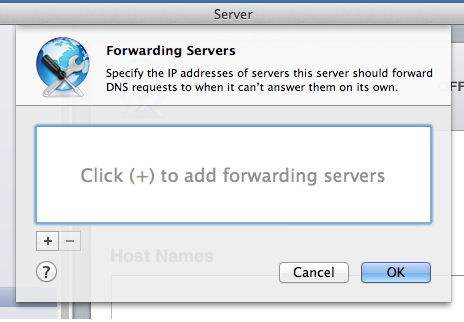 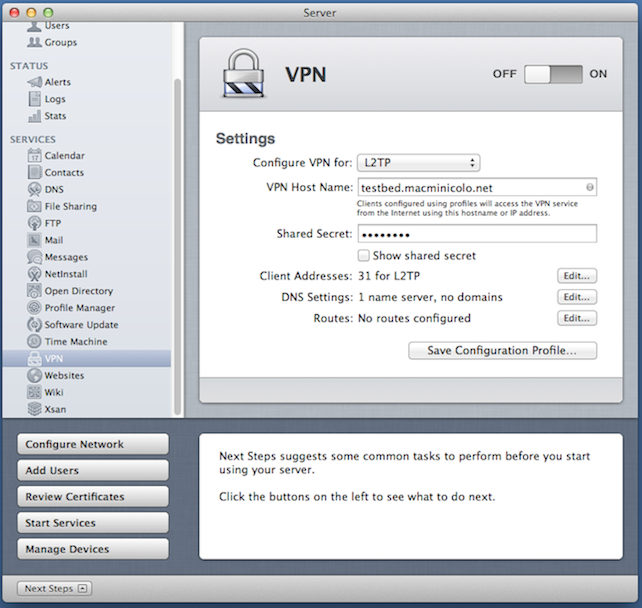 load anchor "400.AdaptiveFirewall" from "/Applications/Server.app/Contents/ServerRoot/private/etc/pf.anchors/400.AdaptiveFirewall"
Let's set up a Mountain Lion client as an example.